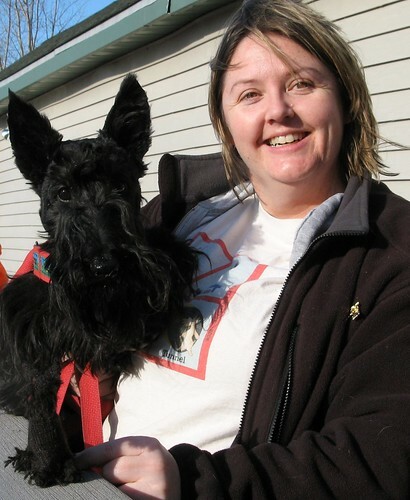 William is a present for my friend Julie, who is a fellow dog-agility competitor. The real-life William was up for a big title last weekend: he needed one more qualifying run (“Q”) in Jackpot to earn his C-ATCH. This title represents 40 Q’s in seven different classes, all at Level 5 of difficulty. It’s a big deal for us agility heads! 🙂 I decided on the spur of the moment to channel some castonitis into making a cute little dog for her. 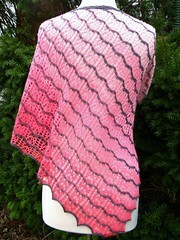 I knit for about 10 hours on Friday and Saturday, and finished! I showed a few people, but decided not to tell her until after the Jackpot run … it was a tricky run, a non-traditional Jackpot with complex rules for gathering points. Julie planned a conservative path, getting exactly the 44 points needed to Q. Everyone cheered and cheered! 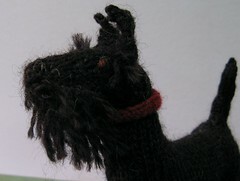 This is my second “Knit Your Own Dog” project — I made a Border Collie a while ago. 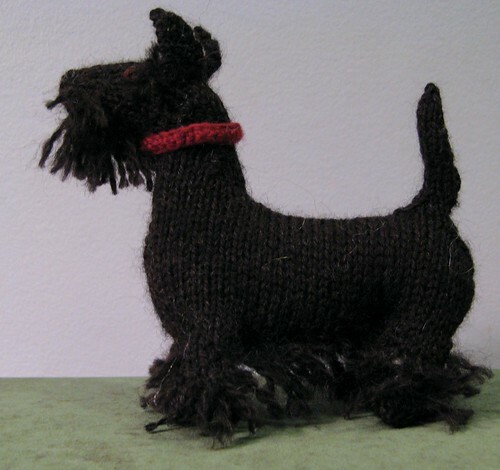 I found the pattern to be similar in many ways, but tailored to the breed. 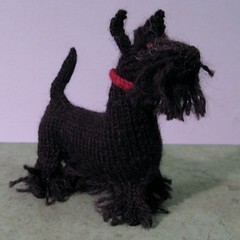 He really looks like a proper little Scottie! 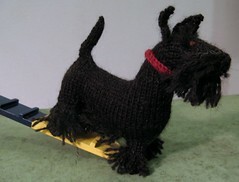 The legs are knit flat, then joining via some cast-on stitches to make a left and right body. 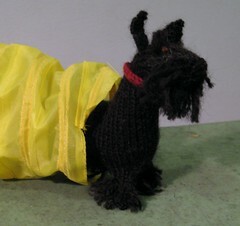 The neck and tail are worked from held body stitches. 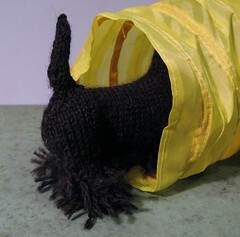 The head does use those crazy PULT short-rows that have stymied more than a few knitters! 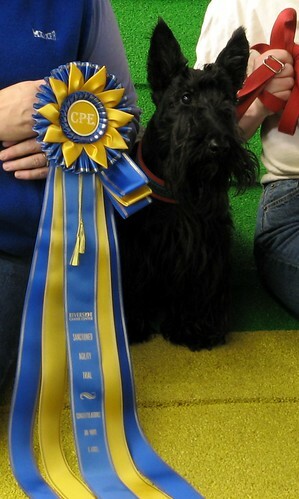 I’m especially proud of the tail — Julie said it was very close to correct to breed standard! 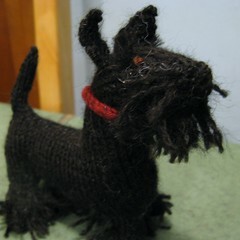 She also said the wild beard on the knit-Scottie was perfect because William’s beard is always looks like he’s been partying it up. 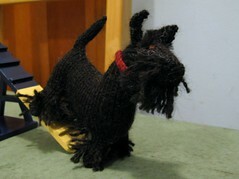 I’m not sure who is cuter, the real or the knitted William! Thanks for making this for me Rachel! You are such a good friend!